Speaking to Anadolu Agency (AA), the mayor of Marmara Islands, Süleyman Aksoy said Wednesday that Avşa was very central to tourism in the region and it was an appealing and nearby resort especially to the residents of Istanbul. "For the Qurban Bayram holiday, reservations are completely booked for all houses, hostels and hotels in the area. We will be taking extra measures and precautions to avoid any trouble," Aksoy said. After extensive maintenance carried out by the Balıkesir Metropolitan Municipality, Aksoy noted that over 4,700 tons of water had been purified, stating that "we have now solved our previous issues about water. Avşa Island's 12 garbage trucks and 65 cleaners will be on duty 24 hours a day. We will be with our guests during this holiday." 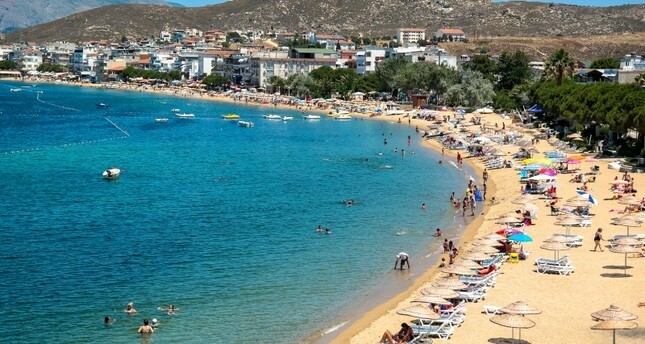 Similarly, Balıkesir's Erdek and Kapıdağ provinces and surrounding areas have also been fully booked for the upcoming holidays. Erdek`s District Governor Ekrem Çalık has stated that the city is well prepared to provide a safe and peaceful stay for all visitors. Furthermore, Erdek`s Deputy Mayor Mehmet Ali Tetik stated that they expect it to be a busy period for the area and they are "utilizing all the resources they have" to ensure all domestic and international guests enjoy their stay.